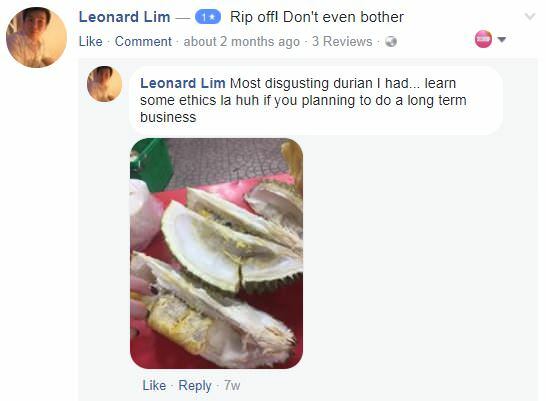 A couple who were promised 'cheap' durians from a seller at Sims Avenue was instead asked to pay up $600 for the durians. Stomper Nicole was with her husband, David, when they decided to purchase durians from Wonderful Durians along Sims Avenue past midnight on Dec 27. However, their experience with the stall was anything but wonderful. While at the stall. Nicole and her husband requested for several small kampong durians. The seller had allegedly said that he would offer them a cheap price for the durians. In a telephone interview with Stomp, Nicole said, "He cut the durians and put them in the basket. Then he said $600 for 20kg of durians." "I thought he was kidding at first. I thought he meant $60, not $600." She paid for the durians using NETS and upon finding out it was $600, she asked for a refund. The seller then told her that they could not issue a refund as the durians had already been opened. Nicole's husband, David, told Stomp, "A Mao Shan Wang durian typically costs $20+ per kilo. These durians are not even Mao Shan Wang." 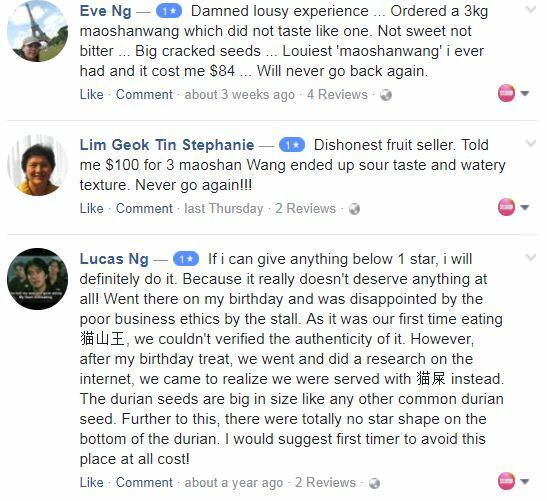 He added that the durian tasted 'normal' and that it was a 'lousy experience'. Another branch of the stall which they had bought the durians from was found to have many negative reviews on Facebook. Unfortunately for the couple, they were only aware of this after they purchased the durians and went to look up the stall on Facebook. 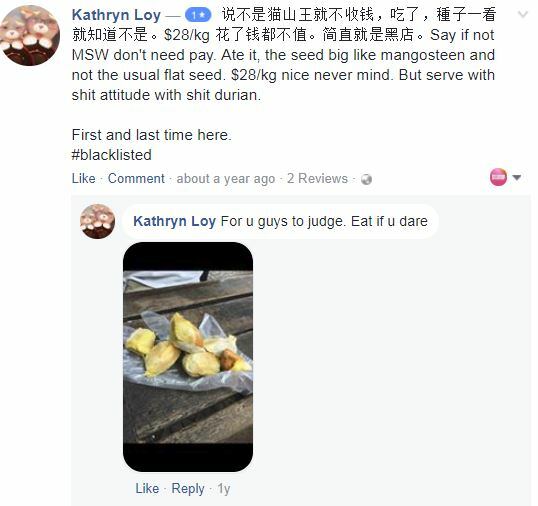 The Facebook page for Wonderful Durians at Geylang Lor 17 is flooded with one-star reviews, with many citing that their Mao Shan Wang durians did not taste anything like it at all and added that the taste was horrible. "I just want other people to be careful when visiting this stall," concluded Nicole.